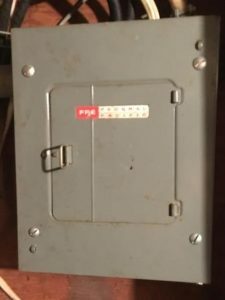 From the 1950s to the 1980s, Federal Pacific installed millions of “Stab-Lok” breaker boxes in homes throughout the U.S. Through the years, they gained a reputation for not tripping when overloaded and were known to be the cause of many house fires. 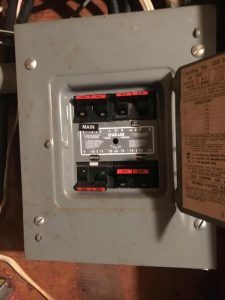 If you have a Federal Pacific Stab-Lok breaker box, it is recommended by virtually all electricians that it be replaced immediately.